we are 6 minutes away from junction 23.
towards Rochdale (approximately 12 minutes). 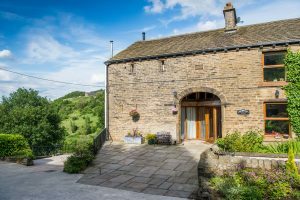 Holiday Cottage Yorkshire | Crabtree Barn Holiday Cottage is a beautifully converted 19th Century building in a picturesque rural setting. This luxurious Self Catering Yorkshire holiday accommodation overlooks stunning countryside with wild deer, badgers, kestrels & woodpeckers. Crabtree Barn Self Catering Holiday Cottage Yorkshire is close to Halifax & Huddersfield, West Yorkshire and only 30 minutes from Manchester and Leeds. To book a week at Crabtree Barn Holiday Cottage Yorkshire please send an email indicating dates. 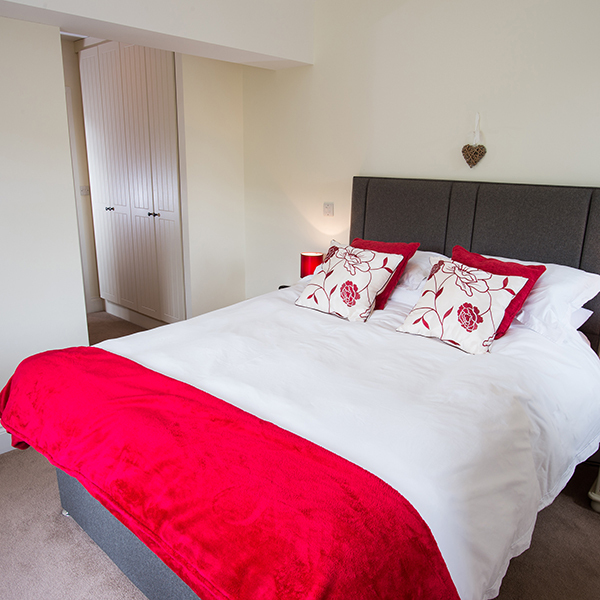 Self Catering Holiday Cottage Yorkshire. 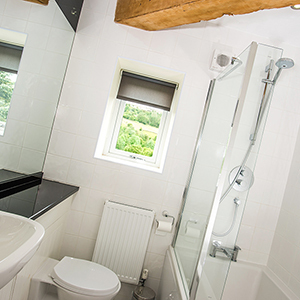 All guests are amazed at the magnificent views from the converted barn which beautifully capture the Blackburne Valley and its rolling hills. Being set in a wildlife corridor, it is a perfect base for watching the world go by from and the overlooked fields often have visiting deer, heron and kestrels. 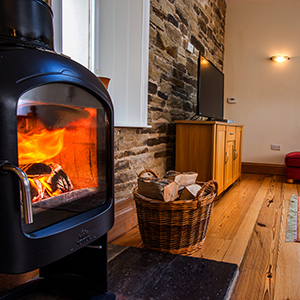 The local area is ideal country for walking, cycling or just enjoying the views in front of the cosy log burning stove. 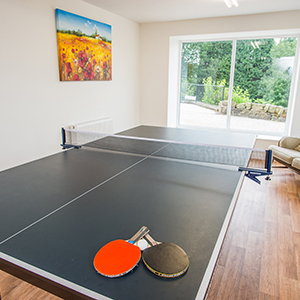 Crabtree Barn is located a short distance from the M62 junctions 23 and 24 and makes an ideal retreat for guests looking to stay in and around the Ripponden, Halifax and Huddersfield area. Harrogate, York, Manchester, Leeds and Bradford are all within an hour’s travel by car. Many guest have used us as a base for visiting the Peak District. We are just 2 miles from Barkisland village and roughly equidistant from Huddersfield and Halifax. 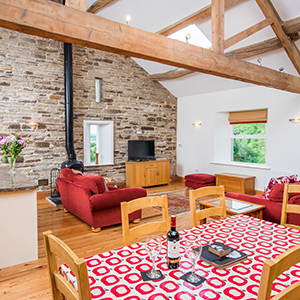 Crabtree Barn has been running as a holiday let for almost three years and has proved popular with guests visiting from all over the world. For more information re booking please see our availability page. Being set in a wildlife corridor, Crabtree Barn is a perfect base for watching the world go by from and the overlooked fields often have visiting deer, heron and kestrels. 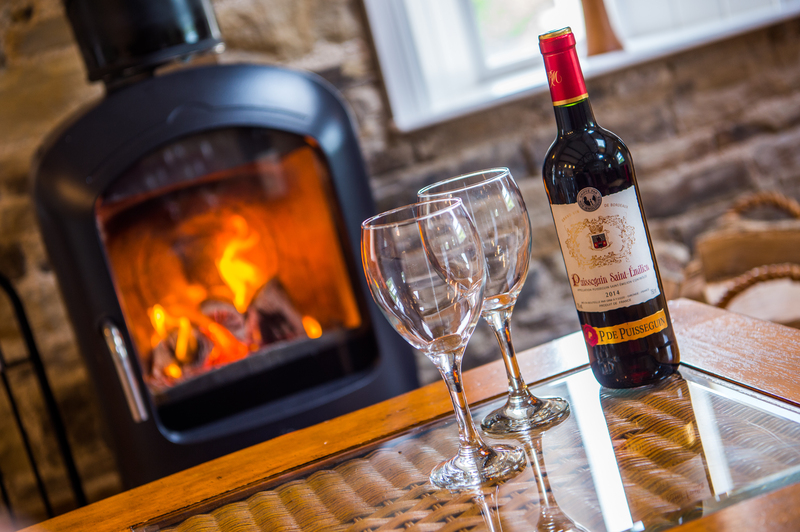 The local area is ideal country for walking, cycling or just enjoying the views in front of the cosy log burning stove whilst drinking your favourite glass of wine. Crabtree Barn sits on the border of Calderdale and Kirklees and just inside the Calderdale border. We are rurally situated in the parish of Ripponden and Barkisland tucked down a small wooded valley with great views across the valley and towards the hills of Ripponden and Hebden Bridge. Just had a 3 day stay here, we didn’t want to leave. The Barn is equipped for all your needs and very comfortable. The views are breath taking, I will miss my morning coffee in the garden soaking up the tranquillity of it all. Wayne was on hand and gave us some wonderful ideas of where to walk, eat and everything that was going on locally. I would return to this place definitely and thoroughly recommend. Beautiful Barn. Beautiful location, fabulous accommodation and a great end to the summer holidays for our family. Simply perfect and would recommend to others. Perfect retreat for our trip – superb! Lovely place, well fitted out and comfortable, all in a beautiful setting. The owners made every effort to make sure we had everything we needed. 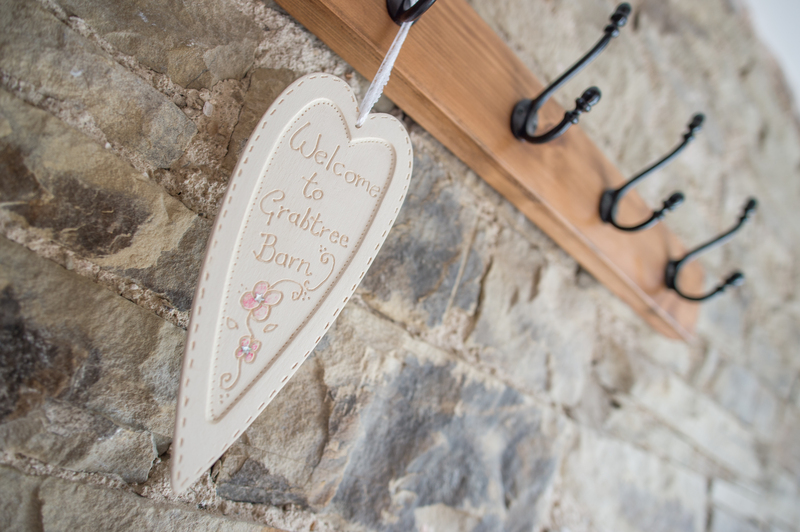 The barn is ideal for two couples as we were, everything was “just so” and well organised. We would definitely stay again.